Category Archives for "Washer Dryer Repair Service"
Okay, what we’re going to be doing here with today’s appliance repair workshop is working on a gas dryer repair. And this particular one, the drum turns but doesn’t heat. So, if your drum’s not turning, this isn’t for you. If your drum is turning and you have no heat, you’re in the right place. So, the first thing I’ve done is I’ve uninstalled this out here, I’ve unplugged it…removed the dryer vent, and the gas line…the next step is to remove this back cover here. So, come on in, let’s take a closer look. Okay, when we take these covers off I usually start off on the bottom, it just makes it easier to pull this thing off…dropping it on the floor…I just dropped the screw. Okay, no that we have our back cover off, we have several fuses here, and this one here is our feed duct here…it’s feeding the heat into the dryer drum. So, our gas comes in here, it ignites a burner tube, throws heat into this vent, comes up through here, and it’s drawn through…through there…into the drum. And this here is the cycling thermostat, located here, and what this one does is this one will tell the dryer when to cycle on and off. So, the dryer doesn’t actually run the whole time, the drum turns, the gas is turning on and off, and this is what’s signaling it to do that. So, what we want to do is, is check that, for continuity. And we use an ohmmeter to do that…and you turn this to the ohm setting, and the right mode…and mine makes a beep when you have continuity. So, what you want to do is, is you want to remove, always remove at least one wire…cause it maybe completing a circuit if you don’t, so you pull one wire off and you want to check this…and we have continuity…So, that’s working…so, that’s not our problem, there. And next what we want to do is, we want to come down to these two down here…and what we have down here, is a high-limit thermostat, and a thermal fuse, or a thermal cutout…and one of those could be the problem there also. So, what we’re going to do is we’re going to do the same thing, we’re going to pull one of the wires, I use needle nose, and grab it by the terminal so you don’t rip that wire off there…and we have continuity on that one, so that one’s good. This duct here is our exhaust duct…it’s coming out, and if the dryer vent is on the top, usually these, these fuses are on the back. 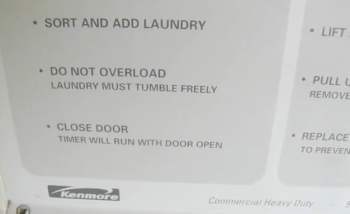 On some of the GE models, the dryer lent trap is in the door, when, usually when they’re in the door, this blower setup is in the front. So these fuses will be located in the front. And there may be a longer one about an inch and a half long, and it’s thin, sometimes white or black, with the wire going in and out, that’s another type of thermal fuse, and they’re located back here also, sometimes, on some of the models. It basically serves the same purpose, as this one just a different look to it, and non-resettable. So once this fuse blows, you have to replace it. But these are all good, so we want to go around to the front now, and see what we’ve got going on up there. Okay, so now that we have the front cover removed, the lower section here, you might have to remove your whole panel…you might have your blower assembly up here, and a couple of thermostats located up here, but this style’s a little different, they’re all on the back. And what we’re looking to get at is where the gas valve comes in, and we’re going to test a few things over there so let’s go over to that area take a closer look at that gas valve. Okay, so, here’s our gas valve here…and we know that by this gas tube coming in…this shutoff, located right here – and there’s two solenoids on the top…they’re called dryer coils. What we want to be looking at first, is we want to check our igniter, which our igniter is going to be coming out of this gas valve here…it’s going to be a tube…tube about an inch or so in diameter, and it runs into a pipe…a little hard to see here, but it runs in through this pipe, and the igniter, is tight here…and it’s a little ceramic thing with a couple of wires going to it…what we want to do is unplug this plug here…and we want to test that we have 120 volts, or close to it…going to this, here. So what we do is we unplug this, connect our multi-meter in there, and we’ll turn this on into a dry cycle, plug it back in after we get it all connected, we’ll turn it on to a timed cycle and we’ll start the thing, the drum will turn, and we should have 120 volts there. So, we’ll go ahead and check that. Okay, now I’ve checked that and we have 120 volts going to the igniter. And the way this works is, the power comes down, it heats up this igniter, which transfers heat to this little square thing on this side, that’s called a dryer sensor, or a heat sensor. What that does is that heats up, and it sends power back to these coils, when it heats up enough, these coils start to open, they let gas in, the gas goes on through the burner tube, the igniter ignites it…heats up a little more, those valves pull all the way open, the igniter will shut off. And, because the flame is going it keeps the heat sensor going which keeps these open…until the cycling thermostat sends the signal down to it…it were hot enough to shut off…and then it will shut off, and then it repeats the process again. So, we’ve got 120 volts going to our igniter, and our igniter is glowing in this case…it glows, but the gas never turns on and shuts off. So what we think our problem is either going to be in that flame sensor on the side there, so what we’re going to do is we’re going to connect our ohmmeter to it, and we’re going to check for continuity, we’re going to pull one of the wires off it, and we’re going to check that and see if we’ve got continuity there. And I don’t know if you’re going to be able to see this, cause it’s awful tight, I’ve pulled one wire off, okay, if I can get in there. Okay, we’ve got continuity there, so our igniter has got power, and it’s glowing, and our flame, our heat sensor has got continuity, so that’s working. So, then it comes down to our, gas valves are not opening, now you can do an ohm reading on these solenoids, and the service manuel will give you a spec that it’s supposed to be in, but from experience, I can tell you that it’s not going to mean much, when these things start to heat up, they seem to lose power. So, what we’re going to do is, we’re going to pull these two off, and we’re going to replace them. And we should be back in business. Since dryers are not that difficult to evaluate and repair, many home appliance owners in the Columbus area tend to avoid a lengthy selection process and just choose the most affordable or convenient washer/dryer repair service to help them with a quick fix. Our experts here at Columbus Appliance Masters, however, can tell you that this is not always the best course of action. Being fully aware of who you hire for your repairs is an essential need that’s especially important when it comes to a large area with many potential scams and less reliable choices. In a city like Columbus, Ohio, where there are more listings of local, virtually unknown repair companies than you can count, it can be more than essential to beware of certain types of services that may be just in it for the money, without actually providing much value. At Columbus Appliance Masters, we have an informative approach geared toward helping people learn as much as they want about our company, our operations and everything you might be interested in when it comes to our repair technicians in order to provide you with the peace of mind you need before contracting our services. Cheap, inexperienced repair “experts” who advertise their work heavily, but are incapable of delivering the kind of value or quality that they boast. As you can see, there are numerous potential problems you could encounter down the line, and not all companies you find will offer the same level of commitment, honesty or determination when claiming they can solve your problem. At Columbus Appliance Masters, we are fully dedicate to our work and strive to constantly provide the highest level of quality for an affordable and sensible rate. We will always provide you with fair rates and a written estimate before getting to work, and we will even present you with various discounts, such as cutting down up to 15% of our costs if you’ve found our services online or eliminating the charge for service calls with a repair. 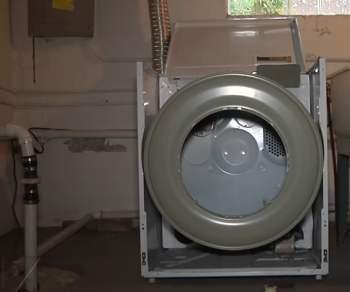 Also, our repair staff is well-versed when it comes to dealing with repairs on most of the well-known dryer brands, such as LG, Whirlpool or Kenmore, and they will ensure that the repair job will not stretch out into the following day. Call us today to get our best offers on dryer maintenance and repair and get your appliance fixed in no time! Choose the Best Dryer Repair Company – Choose Columbus Appliance Masters!